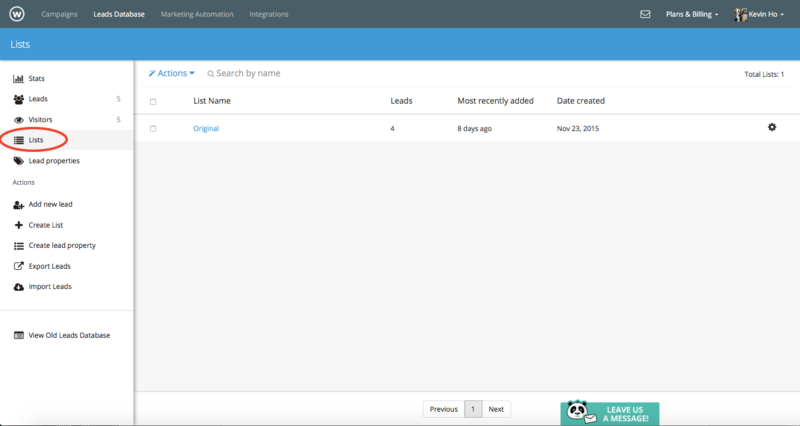 The leads database is the area within Wishpond where you can manage all of your leads, see all of your campaign visitor data, and sort through your different lists. 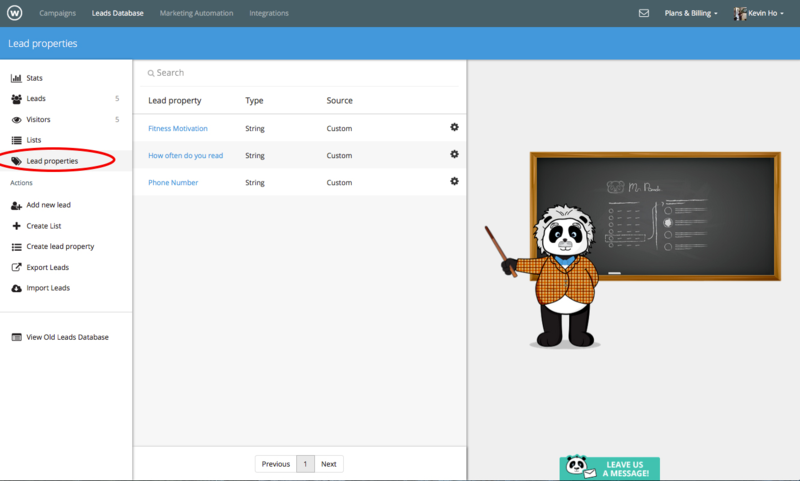 It’s broken down into 5 main areas: Stats, Leads, Visitors, Lists, and Lead Properties. 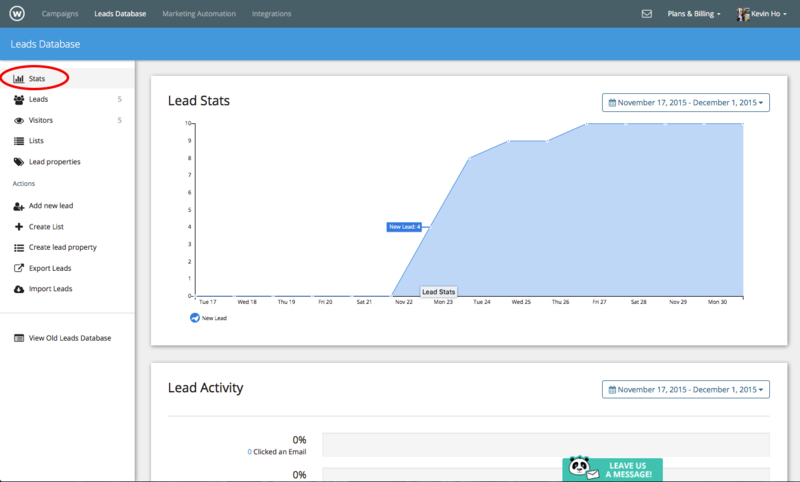 In the stats section you’ll be able to get a global overview of all the lead activity taking place within all of your Wishpond campaigns. Important metrics to take note of are the number of leads opening emails, converting on campaigns and page views. The second category is the leads section. Here you’ll be able to get a breakdown of all of your different leads sorted by their most recent activity. By clicking on each lead you can get a more detailed breakdown of all of their activity, profile data, and which lists they are apart of. 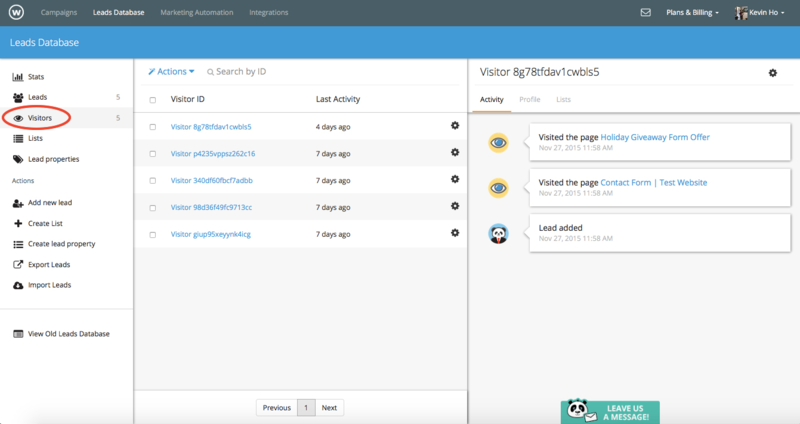 The visitors tab will show you all of the visitors who viewed your page, but did not convert on your form. 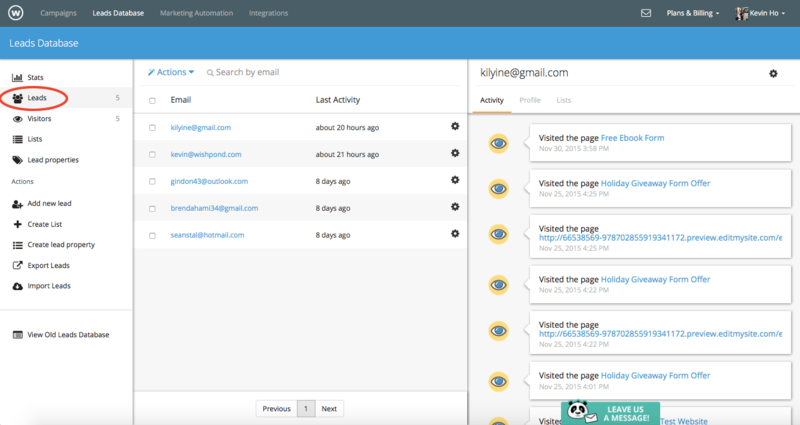 Using this system of collecting visitor data, you can track users even with before they convert and when they eventually do fill out one of your forms, all tracking data associated with their visitor account will merge into their new lead profile. The fourth main area is the lists section, here you’ll be able to see which leads are a part of which lists. This is the best place to come back and check for different list segments especially if you're creating different types of smart lists and static lists using marketing automation. The last main section is the lead properties section. Here you can see the different custom lead properties across all of your Wishpond campaigns. Within the leads database you also have the option to add leads, create lists and lead properties as well as import and export leads. We’ll go through each of these options in later articles.